If you’re learning to drive, it’s a near-certainty that you’ll stall your car at some point. Until you’ve become comfortable with the pedals and learned the technique for driving, it can be quite difficult to keep the engine going at all times – particularly when you are stationary. However, by learning about the way your vehicle works and gaining experience behind the wheel, this is a problem you should encounter less frequently as your lessons go on. 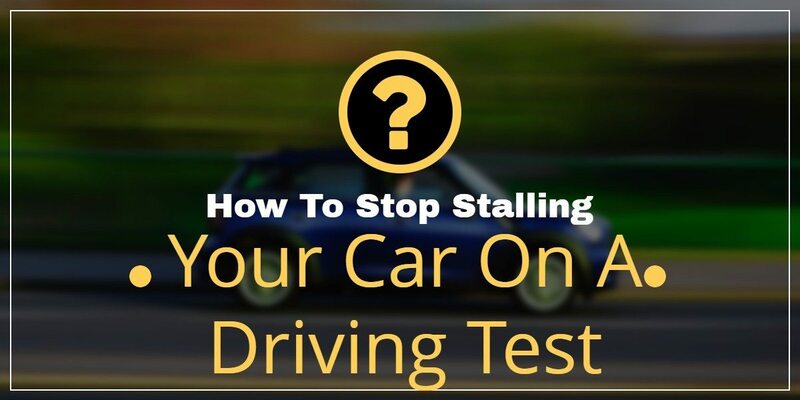 Knowing how to avoid stalling – and how to recover from a stall quickly and safely – is very important when you are learning to drive. On your driving test, you won’t necessarily register a major fault for stalling, but doing so repeatedly could result in a fail from your examiner. Mastering the technique at an early stage ensures you can drive with confidence and fully concentrate on the road ahead, rather than think about what your feet are doing. You’ll be nervous enough on your test without having this extra worry. What causes cars to stall? In manually-operated cars – those which have a clutch – stalling is usually caused by driver error. Releasing the clutch too quickly can cause the engine to cease operating, as can forgetting to apply the clutch when coming to a standstill. New learner drivers often struggle to find the biting spot, where the two plates in the clutch come together to connect the engine and the wheels. Bringing the two plates together too quickly is like bringing dinner plates together two quickly – the dinner plates will smash. Crashing clutch plates will cause the car to stall. Gaining a feel for the biting spot can help reduce the risk of stalling, particularly on hill starts where the risk is greater. With your left foot, depress the clutch fully to the ground. Slowly apply pressure on the accelerator with your right foot until the engine starts to rev. Lift the clutch up very slowly until you reach the biting point. The engine revs will lower and the car will try to move forwards. Release the handbrake and continue to lift the clutch, with your foot still on the accelerator. Fully raise your foot from the clutch once the car starts moving. If you do stall on your driving test, it’s important to keep calm. You may find yourself on a busy road surrounded by other drivers, each of whom is eager to get to their destination. But you need to focus on restarting the engine efficiently and safely, so it’s important to block everything else out for a brief moment, even if drivers start blaring their horns. The more under-pressure you feel if you stall your vehicle, the more likely it is that you will repeat the error. It’s important to take a deep breath, remember the steps for starting the engine, and work through them one at a time. If you do stall, apply the handbrake, put the gear stick into neutral and restart the car with the ignition key. Then restart the six-step process by applying your foot on the clutch and putting the car in first gear. It’s important to trust your ability and retain your confidence. Even experienced drivers stall their cars from time to time, so don’t worry – there’s no need to get flustered if it happens. Just back yourself to restart the car first time round, remembering to check for hazards when you move off in your chosen direction. Book Your Driving Lesson With Us Today!